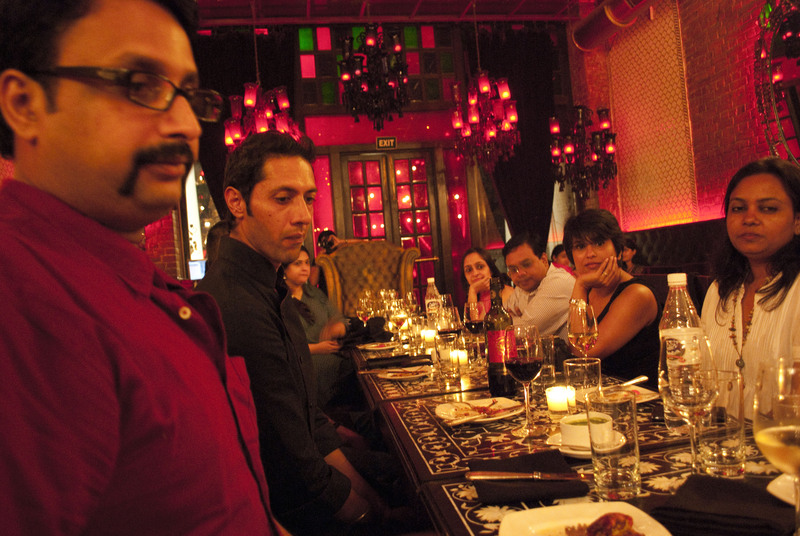 Last week our ChefatLarge Blogger’s table met Aditya Bal over dinner at Veda to chat about his cookbook- Chakh le India. Working in publishing, and having edited a few lifestyle books, I know a little thing or two about cookbooks. 1. People don’t like cheap paper in cookbooks. They like glossy, thick, shiny paper. 3. If you do have pictures, and they’re such tight close ups that you can’t figure out what you’re looking at, you may as well not have the picture. This book failed on all 3 counts. I wanted to try a recipe from the book, but after Sid and Ruchira’s experiences I’m not so keen. Maybe if I find a recipe with a picture I like, I will at some point. Aditya Bal himself was friendly and very down-to-earth. He answered all our questions graciously and took criticism very well. His journey from a model/actor to a chef that he told me about is an interesting one. One that proves once again it’s never too late to change your life and start doing something you really enjoy. 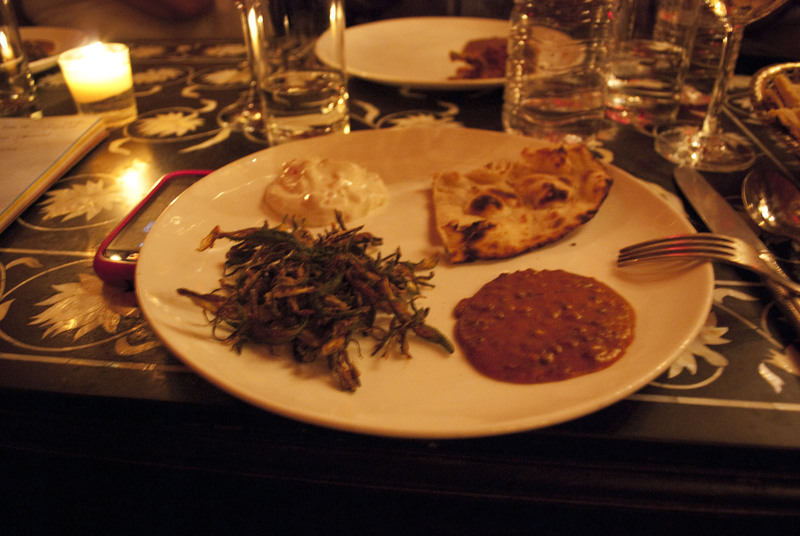 The food was terribly average, to the point of boring. The kind of food you eat because you’re hungry and not because you want to. 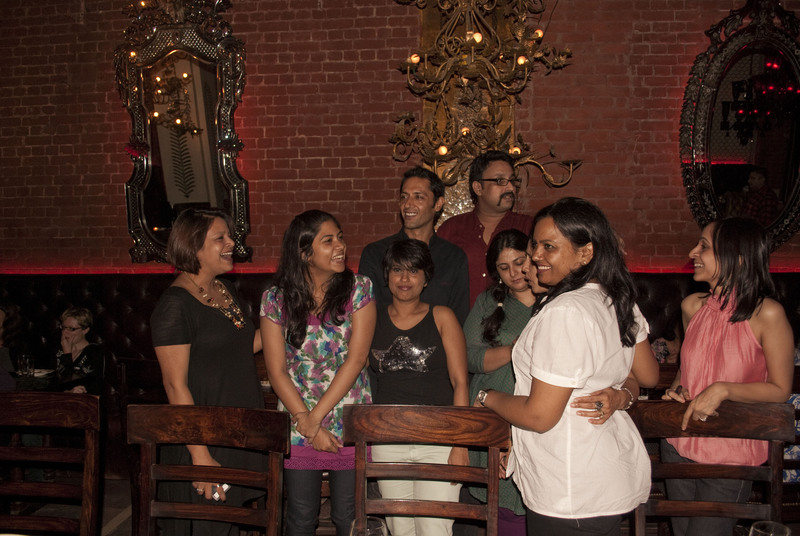 Thank god for this crazy fun group of bloggers. I’d suffer many more evenings like this, if they’re around. Awe..that was infectious laughter to the core. Loved that day just for the togetherness we have. Everything else was so forgettable. Short N Sweet with the right Focus. Sangeeta’s B’day cake. I am still sobbing !